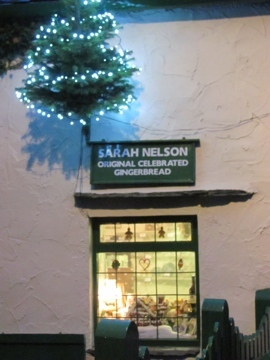 Wandering around Grasmere over the Christmas period, I started thinking how things had changed over the years. 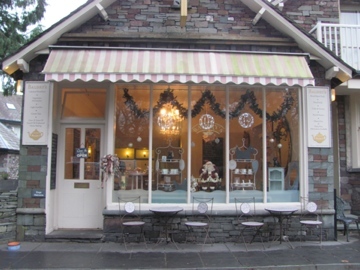 Not that long ago, Grasmere used to close down in the Winter. Nearest Saturday to Bonfire night and that was it. Shops closed until 1st April. Wandering around in Winter was rather a bleak experience and for the shop owners too, as they had to make a living in just seven months of the year. So what changed? Short breaks became more popular, themed breaks like Bridge weekends and Yoga weekends gained popularity, and Stay cations became more frequent with people taking shorter holidays but more of them. The Hotels in the village started staying open longer and catering to a different type of visitor. 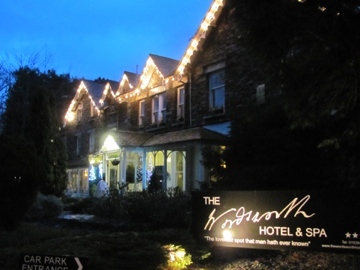 So it was a delight to see Grasmere buzzing with people over the Christmas period and to see the hotels and shops lit up for the season. It must have been a day for pondering because the next thing I thought about was how someone had said earlier in the week “meet you at Coffee Bean Corner”. I knew where that was but would you?. The Coffee Bean was situated on the corner where the Miller Howe Cafe is now. It has also been the Natwest Bank. We also had a Barclays Bank in the village, situated where Mother Earth is now. No banks now but we do have a shiny new cash machine in the Coop. We also used to have two petrol stations. One near the Chemist and one on the main road beside the Daffodil Hotel. 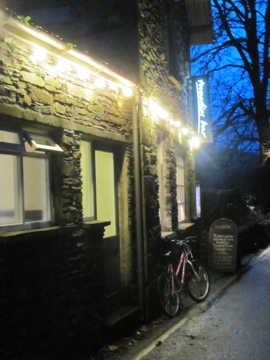 Now the nearest petrol is available in Ambleside. 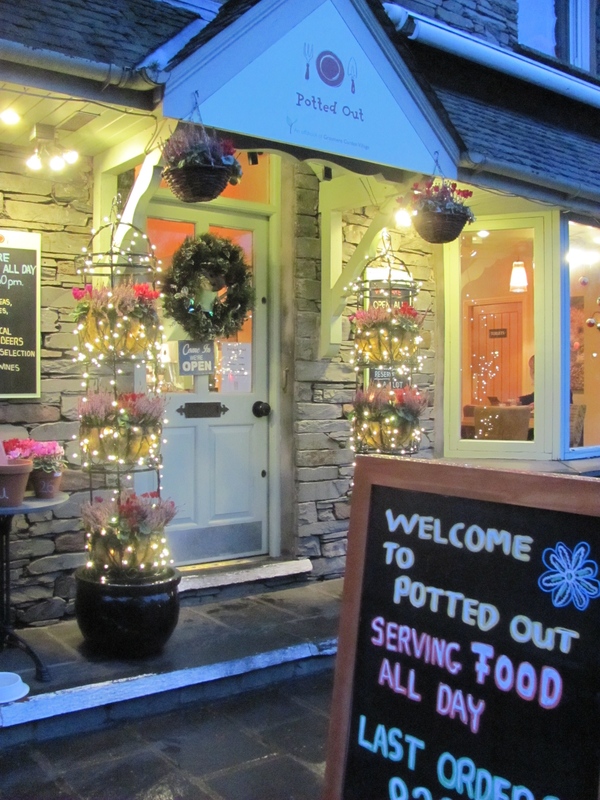 Potted Out Restaurant used to be a family home. Then it changed to a china shop and now restaurant. One thing a lot of people don’t seem to know is that we have a very good ladies and gents hairdresser situated inside the Red Lion Hotel. You don’t have to be staying at the hotel to use it. 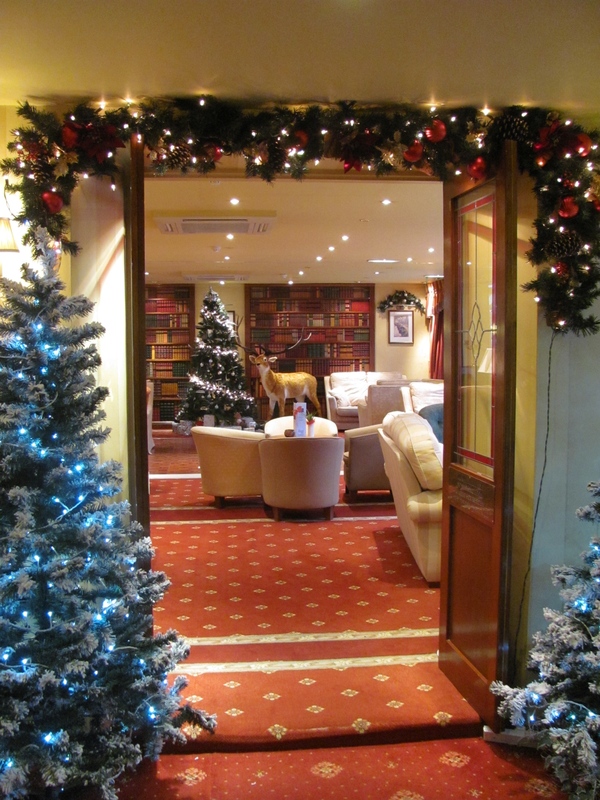 A popular stop over the festive season has been Tweedies Bar, part of Dale Lodge Hotel. Dale Lodge used to be an old folks home. Great situation right in the centre of the village. Glad to see the owner of this bike is sticking to the “Don’t drink and drive” message. It’s not often we have a brand new shop. 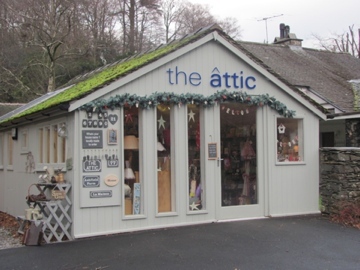 Attic was a welcome addition to the village, situated next to Heaton Cooper Studio. 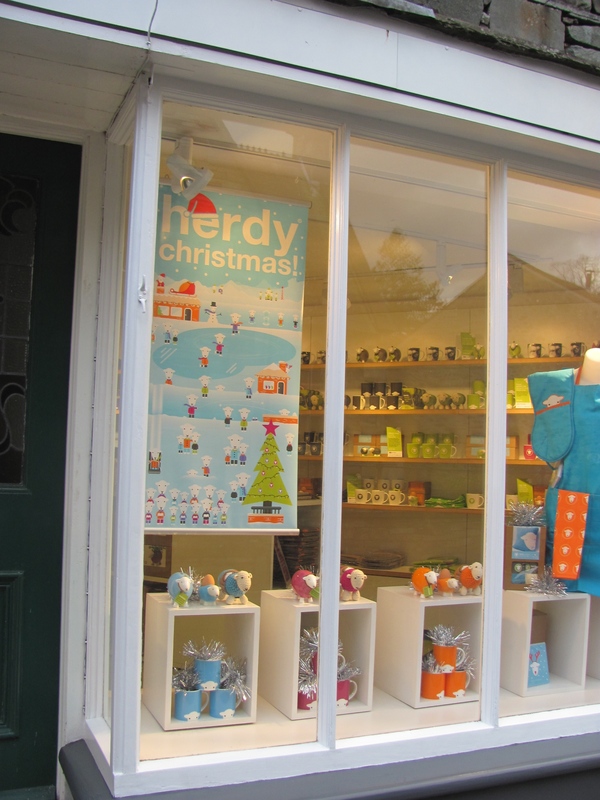 Many shops in the village are well established like Heaton Cooper Studio. 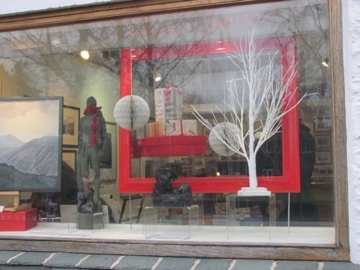 Not only does it have the work of various generations of Heaton Cooper displayed but also a great art shop too. And some shops come and go. 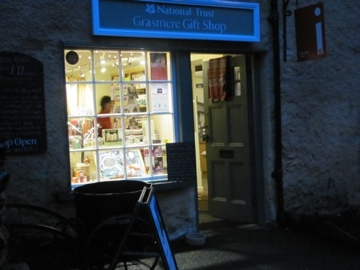 We used to have a National Trust Shop, then it went, now its back again and also giving out information about the village too. 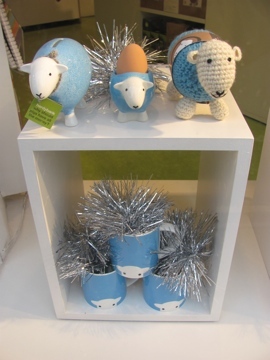 Another popular destination in Grasmere is the Herdy shop, tucked away in College Street. 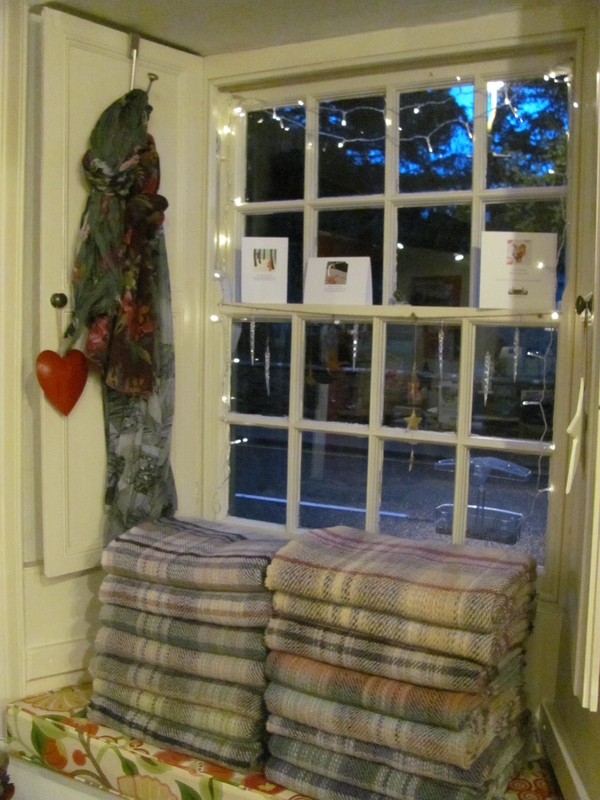 Looking very Christmassy!. 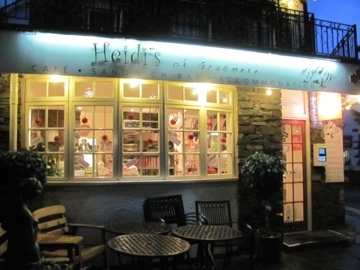 And mustn’t forget Heidi’s which looks Christmassy all year round. So there you are. 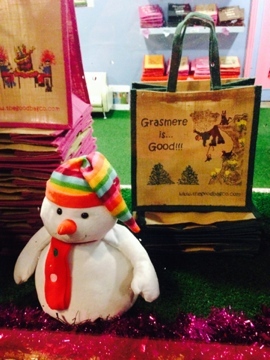 A look at Grasmere at Christmas, and a bit of a reminiscence at the end of another year. 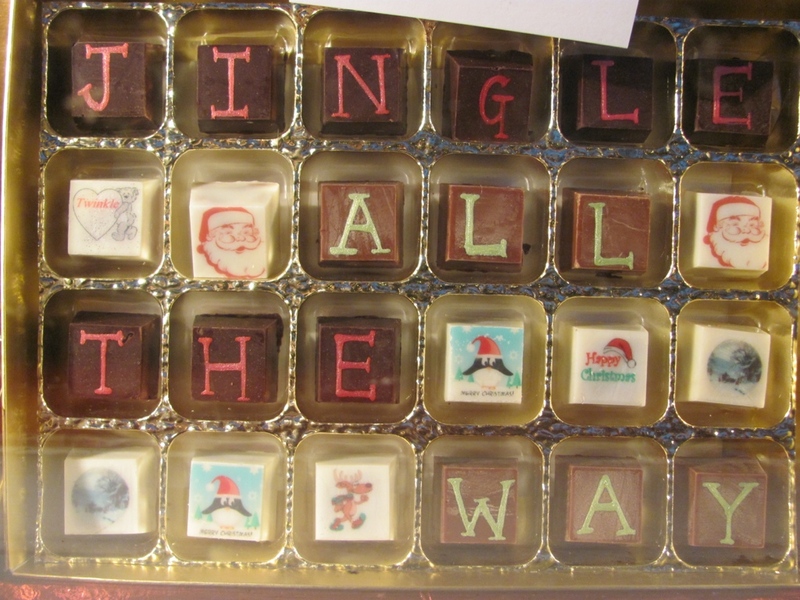 All that remains is to wish everyone a very Happy and Healthy New Year in 2014, and to ask Father Christmas for one last wish….. get rid of this rain and let’s have some seasonal snow. Thank you for sharing your part fo the world.. I will, Thank you !